Fabulous *Lagos de Fanabe Phase II* is an exceptional new development situated in the residential area of Playa de Fanabe. This outstanding complex is in a prime position on the beach front. 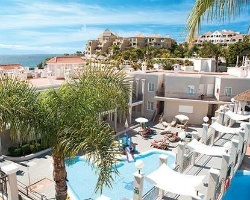 It offers guests tranquillity and picturesque views of the beautiful untouched island of Gomera. The complex has 220 units consisting of studios, one bedroom apartments and luxurious villas set amongst exotic gardens. There are two equally impressive swimming pools, with the added advantage of a wet bar and a specially adapted children's area. On site facilities include a bar/restaurant, television/games room and gymnasium. All units at Lagos de Fanabe Phase II are extensively furnished with a full kitchen, bathroom, television, safety deposit box, lounge and terrace. 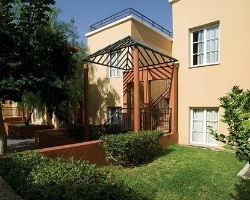 Most ground floor units have the added advantage of a private garden. Those on the higher level may have a roof top solarium. Annual gold holiday season week 23! Villa is a duplex! Buyer May Receive A Title Fee Credit, Inquire For Details! Annual travels to stunning Spain! Buyer may receive a title fee credit, inquire for details!